Cuisinart 8-Cup Food Processor Just $72.44! Down From $185! PLUS FREE Shipping! You are here: Home / Great Deals / Amazon Deals / Cuisinart 8-Cup Food Processor Just $72.44! Down From $185! PLUS FREE Shipping! Don’t miss your chance! Amazon offers this Cuisinart Elemental 8-Cup Food Processor for only $72.44, down from $185.00 PLUS FREE shipping! The Cuisinart Elemental 8-Cup Food Processor is designed to perform any food prep task your recipe calls for. Big enough to chop ingredients for a party-sized portion of salsa, the Elemental 8 is also powerful enough to turn a full work bowl of vegetables into healthy puréed soups in seconds. 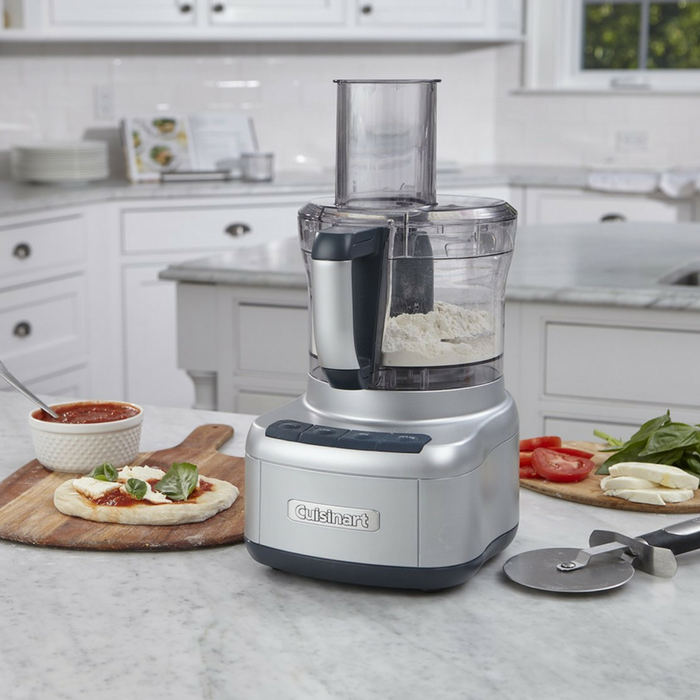 The wipe-clean rubberized touchpad controls and reversible shredding and slicing discs make this food processor a firm favorite of cooks!